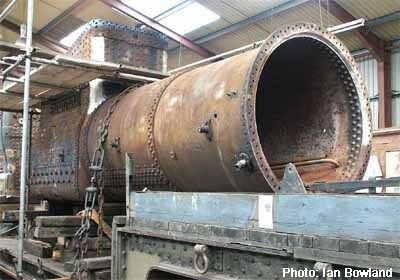 In 2002 the 4F's boiler was transferred to the Severn Valley Railway for attention to the copper firebox and it was returned to Crewe at the beginning of October that year. 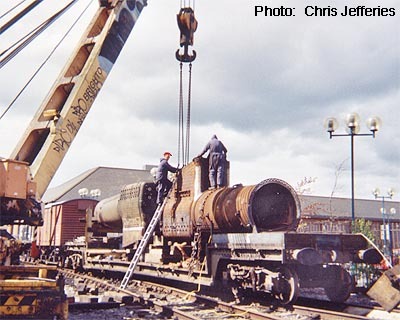 The following shots were taken at the LNWR workshops and illustrate some of the work undertaken at Bridgenorth. 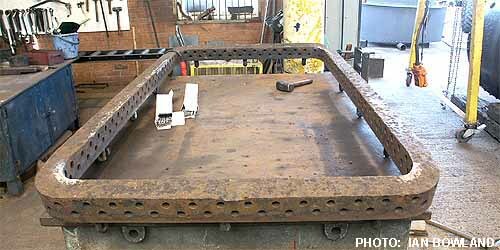 Resting across the wagon to allow adjustments to be made to the slings. 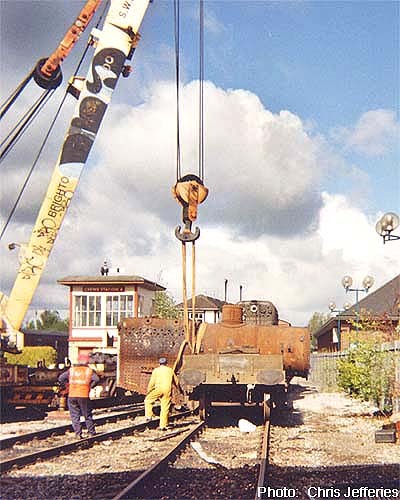 Being secured on the wagon for transfer into the workshops. 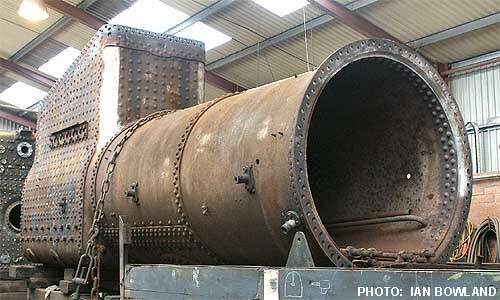 This is the fire door where the coal is added into the firebox to heat the water. 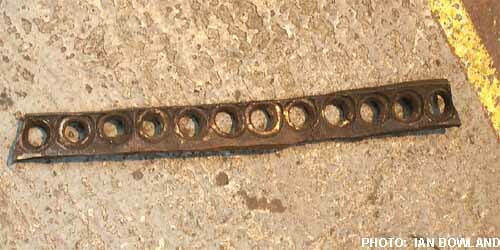 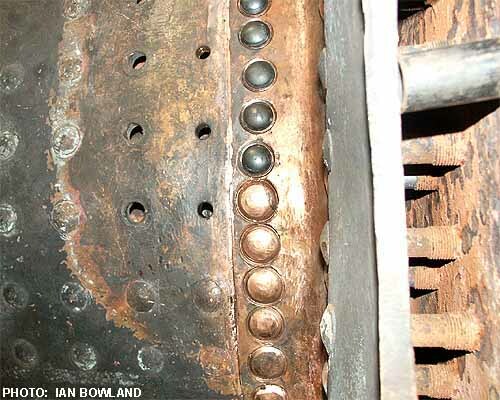 The collection of rivets, studs and bolts go some way to demonstrate the complexity of this machine and the credit due to the people working on it. 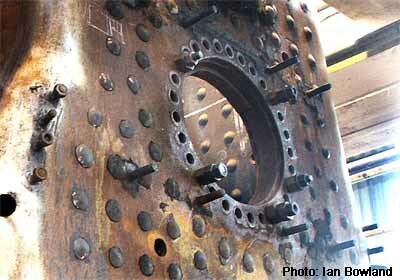 This is the dome which in lay terms is where the steam collects for transmission to the cylinders. 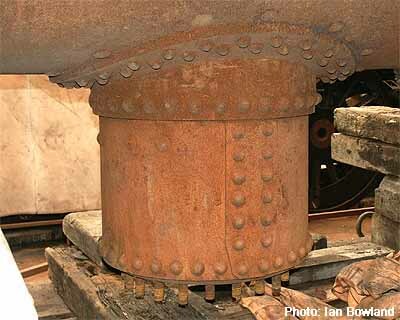 If water is carried over to the cylinders it causes an hydraulic lock which, because water is not compressible, will probably damage the cylinders. 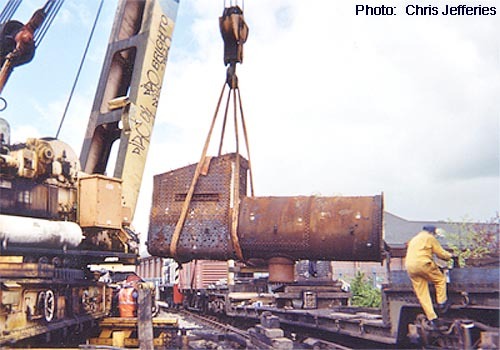 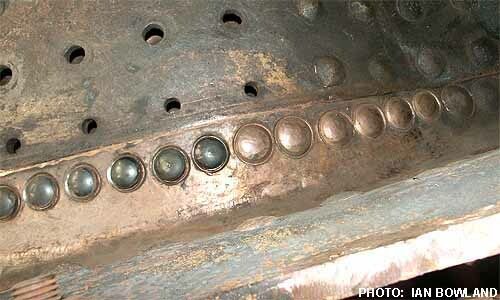 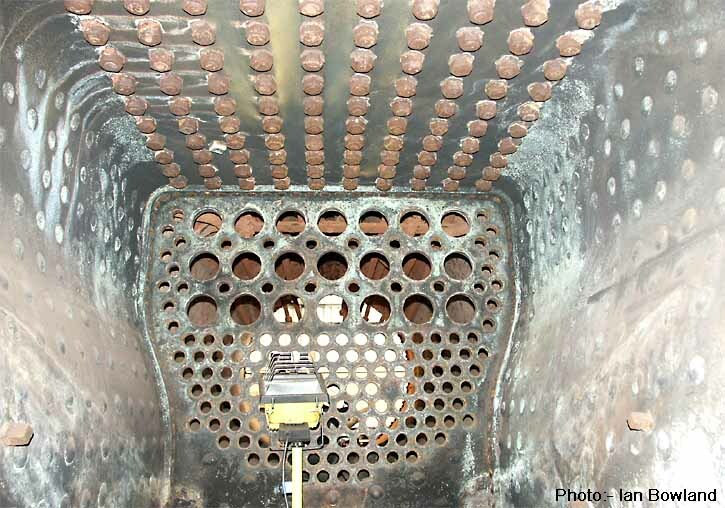 8th of May 2002 and the boiler/firebox unit has been inverted to allow better access to the various sections.